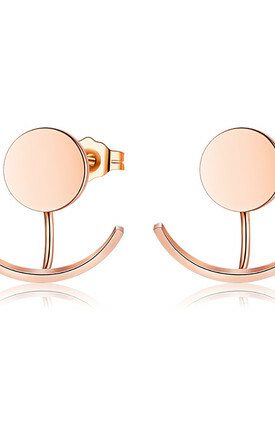 Pretty rose gold-finished ear jacket featuring a rose gold circle which connects to an arch-shaped ear jacket. 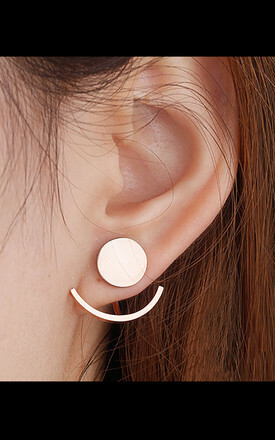 Ear jacket is removable and earrings can be also worn as simple stud earrings. Made with the stainless steel which prevents them from discoloring and any skin irritation.